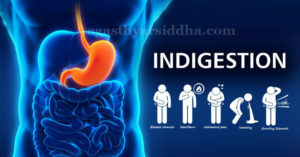 Indigestion/Dyspepsia or upset stomach is a term that describes discomfort or pain in the upper abdomen.Dyspepsia is a group of symptoms which often include nausea,hiccup, belching,bloating ,vomiting,diarrhoea. Intake of decayed food substancesand food made of rice flour will decrease the digestive fire. 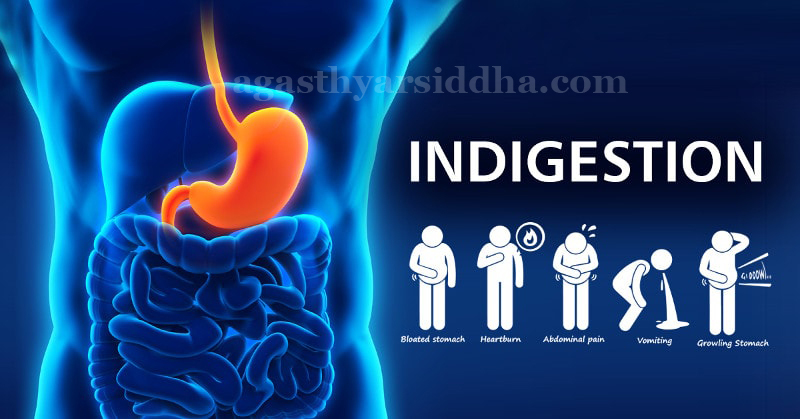 Indigestion is a symptom not a disease ,its treatment depends on underlying condition.Normally indigestion symptoms go away with in hours ,without any medications.If your symptoms become worse ,you should consult a doctor. Try not to chew with your mouth open,talk while chewing or eat too fast.It will cause you to swallow too much air,leading to indigestion. Drink fluids before taking food.Avoid drinking during meals. Don’t lie down right after eating .wait for 2 hours after your dinner before going to bed. Sleep with your head elevated above your feet and use pillow to prop yourself up.It will help to allow digestive juices to flow into intestine rather than to oesophagus . WHEN TO SEE A DOCTOR FOR INDIGESTION? 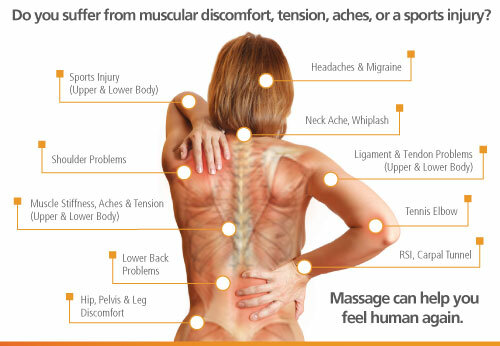 Massage therapy is the physical manipulation of the body. It should be done by a well experienced physician. It can be carried out either with or without medicated oil application. The manipulation should be employed with accurate amount of force and on correct postures. Avoid jewelleries which irritates body during massage. Before you step in for any type of massage eat lightly one hour before. An empty stomach won’t allow you to focus on good effects of massage and full stomach will be painful to lie on. Try to relax. It will help you to sooth your body after trials of day. After the massage, drink few glasses of water, to avoid dehydration and to flush out toxins from the body. Avoid heavy intense exercises after massage, instead yoga or light stretching exercises is enough. It improves the blood supply to different parts of body. It nourishes and promotes strength to the muscles. It gives shining and healthy appearance to the skin. It induces sleep and increases vitality, there it promotes sound mind in a sound body. Normally massage therapy doesn’t have any side effects. But it should be taken in a proper way, by the advice of a good physician. We all know the importance of sleep and rest.But in our busy life we reduced our sleeping time to minimum. By doing like this, we are harming our body itself. If you continue this life style, we have to pay for that. According to our great Siddhars,if a person wants a good physique and health, he must have proper diet, adequate sleep and good personal habits. Sleep and rest is very essential for each and every living beings. Continuous work leads to tiredness. If we take a rest for a while, those tiredness due to work is overcome and our Vital organs regain strength to work again. During sleep, our heart, lungs and other vital organs work gently and hence they also get a little bit rest. The person who does fasting is giving rest to digestive system. If we doesn’t give proper rest to the vital organs, they get damage soon. During sleep, there also occur metabolic changes to the body. On waking up after a good sleep, the mind become fresh. That is why our great Siddhars said that benefits of sleep are seen in growth of the body. There is also a sleeping posture. We must lie in the left lateral position on a suitable bed keeping the flexed left hand as a support to the head and left knee should flex. The right leg is stretched over it. We should keep the head in the eastern direction. It will give you good health. 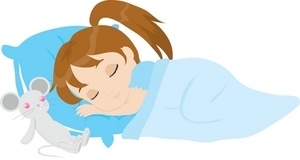 Night is the suitable time to sleep, because during night, earth becomes cool, so the body can get rid of the heat caused by the physical activities during the night. Growth takes place because of sleep. So more sleep is required during growth period. One must wake up one hr before sunrise,so that the intellect becomes clear and active, anger reduces and three humour will be in equilibrium. How to prevent illeffects of sleep disorders? If one happens to remain awake during night or if one had disturbed sleep, they should sleep for at least half of the sleepless period in the morning before breakfast. Take a good massage to the body by which skin and muscles Vitalise and tiredness is removed. Day sleep is not good. But below mentioned persons can sleep. Those who are in fear, anger and mental agony should get rid of their Sleeplessness by doing physical exercises in the evening. By taking oil bath, consuming milk, curd or meat one can have a good sleep. One should sleep on a cot in a clean hall under a roof free from dampness and heavy air-blow. We should take supper by 9 o’ clock and get to bed by 10 o’ clock in the night. After supper we should sit for some time then walk for a short distance and then go to bed. 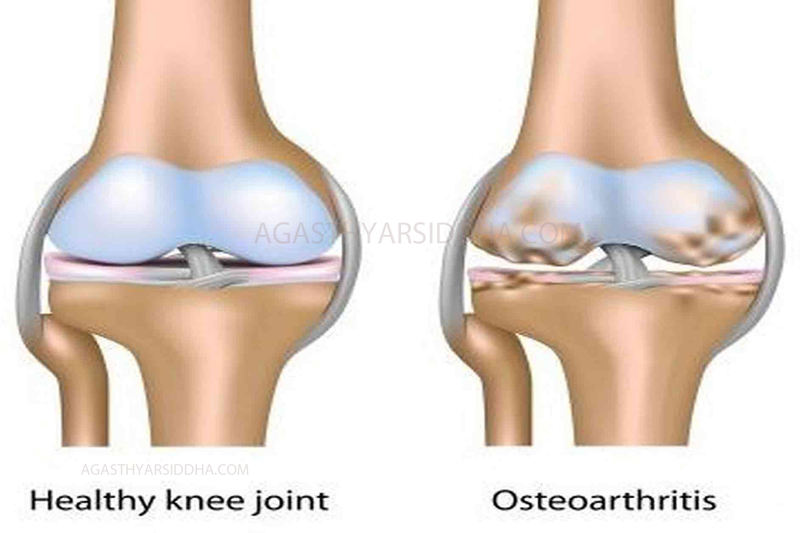 We assure you,a very effective treatment for arthritis by experienced physicians. We welcome you all to our Agasthyar Siddha & Ayurveda health care, kovalam. In Siddha & Ayurveda, vatha, pitha, kapha are the three vital forces controlling entire body functions. If vatha aggravated and when it joins with weak digestive fire (Agni), toxins will accumulate and causes Arthritis. 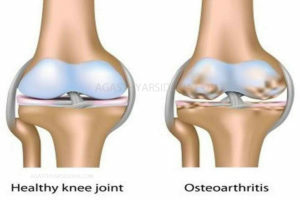 Arthritis is a form of joint related disorder. It involves inflammation in one or more joints of the body. The most common popular arthritis are.. When vatha derranged and when it joins with weak digestive fire (Agni), there occurs invasion and localisation of vayu in the joints of the body there by producing pain, swelling and disturbed movements. In this condition, swelling in the joints increased day by day. Due to increased Agni, the fluid gets dried up, causing crepitus. Some times Stiffness also present. normalizing derranged vatha usinginternal medicines. Marma therapy with special herbal oils. Application of different types of herbal kizhi. Marma therapy and various special treatments. It is a condition in which the shoulder joint movements are restricted in every directions and there will be difficulty in upper limb movements. Special Marma therapy & various medicinal applications. In this condition, there will occur pain & discomfort which starts from lumbo sacral vertebra up to the head. Due to the involvement of nerves & bones, there will be pain and inability to walk. There will be altered bowel and bladder functions. ‘DIET’ plays a very vital role in preserving the human body. The siddha system is one of the oldest natural medical system in the world. Sage Agasthyar is said to be the father of siddha system. Siddha system does not consider preventive and curative aspects separately, but as one; for every possible attempt has been made to prevent rather than to cure the diseases. “wealthy life is that which is free from disease “. The human body is not only to enjoy the pleasures of the world but also to attain the salvation through various means and hence maintaining the body with good health and strength is a must. According to the siddhars, ‘DIET’ plays a very vital role in preserving the human body. We should always consume food only after the digestion of previously consumed food and only after the stools and urine are excreted. If we do so, no medicine is required. We should avoid food during excess appetite, anger or grief, but we can take soft liquid and semi solid foods. We should keep an interval of seven and half hours for each food intake,i.e three times a day (i.e at morning one and half hour after sun rise, at noon and at night one and half hours after sun set. Due to daily actions, the digestive organs are restless. The nutrients are regularly absorbed by the seven physical constituents, so there is a chance for indigestion. In order to give rest to the digestive organs and to stimulate the physical constituents, we should fast at least once in a month. (If you are a diseased person, you should consult your doctor and take his advice.) If we fast once in a month, the impurities stagnant in the body will removed. We should not take the food full stomach. We should take solid food half of the stomach, liquid food quarter of the stomach and a quarter of the stomach should be left empty. Doing so the digestive fire and gas can digest the consumed food properly. We should always eat warm food. Before eating we should first sip a little water to wet the throat. Once you start consuming food, eat peacefully. You should not drink while eating because the gastric fire will decrease and indigestion will occur. After talking food, a short walk is must. We should consume less food, in order to maintain the body healthy. But very small quantity of food will not give adequate strength to the body. Some times it may even affect the body growth. If we take food in excess quantity, the normal digestive fire will reduce and causes indigestion. We should take sufficient quantity of warm water also. If we consume untimely food or if we consume food frequently, it will leads to indigestion. Life span will decrease, if we consumed food late in the night.